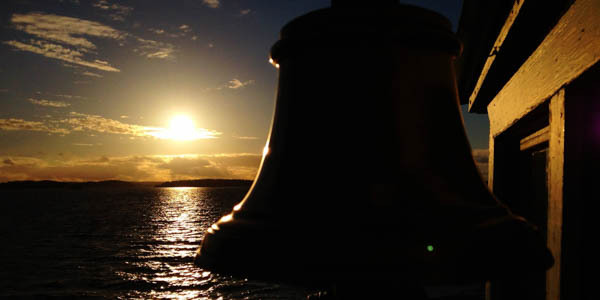 Steamships in Finland - cruises and charter - Sail in Finland! 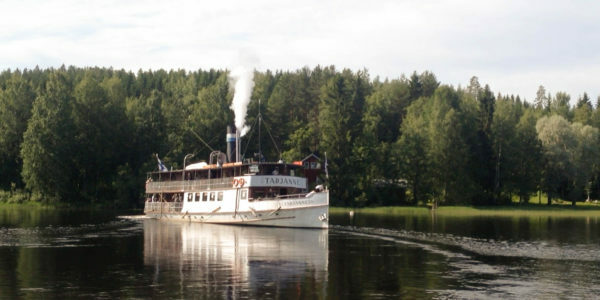 Fancy a steamship ride in Finland? There are numerous possibilities for foreign visitors—and locals alike—to experience a silent steamship tour on the Finnish lakes or at sea. Here you can find a comprehensive list of the steamships in Finland available for commercial cruises. You can visit interesting places by chartering a steamer. At the moment there are about 80–90 functional steamships or steamboats in Finland (even though these are mainly small ones, let’s call all of them steamships here). The greater bulk of these steamers are owned by individuals or associations and are mainly used for leisure cruises by the owners. Many of these steamship can be found on the listing of the Finnish Steam Yacht Association (a rather old site, waiting for updated information). But even in this age of hurry, there are still companies and associations that operate steamships for tourism purposes during the summer season (June-August, some companies from May to September/October). The geographical distribution of the Finnish (commercial) steamship fleet is a bit uneven. The Finnish Archipelago has only two steam-powered vessels for commercial use, and most steamships are located in the Finnish lakes, mainly Lake Saimaa, Lake Päijänne and Lake Näsijärvi. The most northern place to experience ‘steam magic’ is Lake Oulujärvi, about 550 km north of Helsinki. Steamship Punkaharju on a scenic cruise near Savonlinna. Photo by Tuomas Hinkkanen. Map information updated: Oct 27, 2015. Kindly report any problems that you detect using the Sail in Finland contact page. Commercial steamships in the Finnish Archipelago are located in two cities: Helsinki and Turku. In all the other seaside towns, the age of commercial steamship traffic has come to an end some decades ago. There are more private owned steamers on the sea area, but unfortunately these are not available for charter. Ukkopekka (1938) Turku 199 S+C ukkopekka.fi Scheduled route between Turku and Naantali and evening cruises on summers seasons (May/Jun–Aug). Also available for charter purposes. Norrkulla (1911) Helsinki 80 C ihalines.fi Charter cruises from the Helsinki city center. Advance booking is necessary. Table updated: Oct 28, 2015. Norrkulla is the only genuine steamship in commercial operation in Helsinki. The commercial steamship traffic is concentrated around three main lakes: Lake Saimaa, Lake Päijänne and Lake Näsijärvi. But there are steamship cruises and charter available on other lakes, too. Paul Wahl (1919) Savonlinna 99 S+C Scheduled sightseeing tours on a daily basis during the summer season. Taking turns with s/s Punkaharju. Savonlinna (1904) Savonlinna 99 C This museum ship is owned by city of Savonlinna but operated by the “Vip Cruise” company. Advance booking is necessary. Heated by wood. (In Finnish only) Charter cruises and small-scale scheduled cruises at Puumala. A former cargo steamer and heated by wood. (In Finnish only) Charter cruises from Lappeenranta. Heated by wood. A steam tug. Charter cruises from Ristiina. A steam tug. Combined with the barge (Eija) offers sauna as well. Tarjanne (1908) Tampere 115 S + C runoilijantie.fi The last Finnish steamship on its original long (66 nm) route, “The Poet’s Way” – a rarity. A good option also for one day cruise with a steamship+bus combination. Näsijärvi II (1929) Tampere 12 C nasijarvi2.fi A steam tug operated by a voluntary crew. Advance booking is necessary, but there are cruise packages to choose from. Heated by wood. 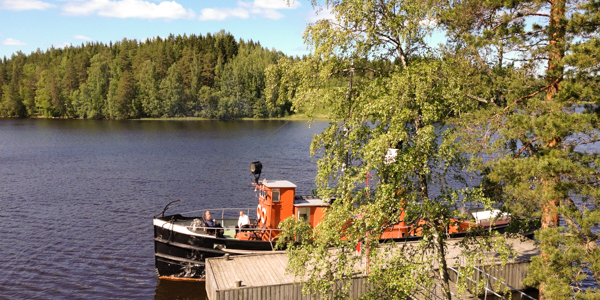 (in Finnish only) A steam tug. Advance booking is necessary. Wellamo (1907) Valkeakoski 50 C + S wellamolaiva.fi A steam tug. Mainly charter cruises but occasional evening cruises during events, too. The only Finnish steamer that has two engines. (in Finnish only) Evening cruises from Lahti and charter as well. Suomi (1906) Jyväskylä 199 S + C paijanneristeilythilden.fi Local cruises from Jyväskylä and charter as well. (in Finnish only) The most northern commercial steamer in Finland. Heated by wood. Table updated: October 26, 2015. The important factor to be considered by an occasional steamship tourist is the ‘modus operandi’ of the steamer: does it offer scheduled cruises (evening cruises, route with timetables etc.) or is it only available for charter? In the first case, it is rather easy to check out the timetables and hop on, but if the steamer is available on charter purposes only, it takes a little bit more of advance planning. Of course, most of the steamers in scheduled traffic can be chartered as well. And the definition of “charter” in this case is mainly day charter, but longer charter periods are possible, too. Chartering a steamship is an easy option as the crew is always included in the deal due to the specific regulations concerning steam boilers and engines. Of course, this means that bareboat chartering is not an option here. 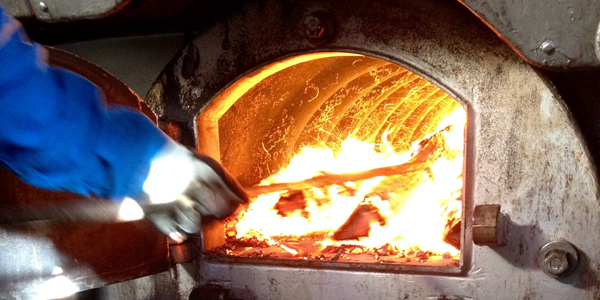 Some of the steamships in Finland are still heated in the most traditional way using wood. The steamship charter is mainly conducted as day charter. But if you have a longer period in mind, it is always worth asking the shipowners if it would be possible to head on the lake/sea for a weekend or even for a week – it is definitely an unforgettable experience! One specialty on steamship charter is that the ship needs to be prepared for a cruise by heating the steam boiler in advance (1-2 days) and this makes it more expensive than just turning the ignition key on a motor vessel. But when the steam is ‘up’, the companies would normally like to make most of it. The main customers for steamships in charter use are companies or associations that are organizing events for their own personnel or customers. Of course, there are also ordinary people that would like to charter a steamship in order to celebrate birthdays, bachelor parties etc. In this sense, the steamship charter is not that different from other day charter business. Evening cruises can offer spectacular views. In the most cases, you can also have catering services aboard or — if the steamer is equipped with a licensed restaurant — use the restaurant services available. You can ask for more information from the steamship companies organizing day charter, they will be happy to help you with the details. 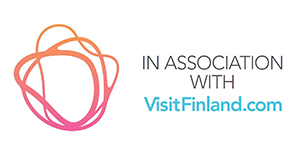 And please do not feel intimated if the websites are only in Finnish (as can be the case especially among the smaller companies or associations providing cruises), contacting people in English is totally acceptable. In the steamship charter, there is (normally) the possibility for the customers to learn about—and even participate in (on wood-heated steamers)—the heating of the steam boiler and see how the engine is operated by visiting the engine room. Also learning about the navigation and especially about the bridge–engine room communication by a telegraph or a voicepipe is definitely something to look for. All this kind of special program is worth asking for when you are thinking of chartering a steamship in Finland. 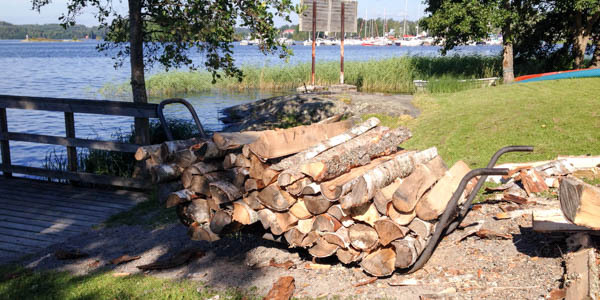 “Fuel” waiting to be taken into a wood heated steamship – want to try? Perhaps one of the existing differences compared to sail/power boat charter business is that some of the steamers listed above (e.g. Näsijärvi II) are operated and maintained by a group of voluntary workers trying to preserve the tradition and collect funds for the ships. This voluntary work also means that these people are not working 24/7 on the chartering business, so the contact times can be a bit longer than for normal commercial companies. Steamships in scheduled traffic can be divided on two main categories: those with a more or less fixed route and those with sightseeing or dinner/lunch cruises—well, there is a route on these cruises, too, but it starts and ends in the same place. Nowadays there are only two steamships on a fixed route: Tarjanne (Tampere-Virrat-Tampere) and Ukkopekka (Turku-Naantali-Turku) and both of these steamers are doing evening cruises as well. Nevertheless, it is quite an experience to hop on aboard steamship Tarjanne and travel all day through the Finnish lakeland in much the same way as people did 100 years ago. Steamship Tarjanne starting its 66nm lake journey to Tampere from Virrat. Of course, if you are short of time, then a sightseeing cruise is an easy option to get familiar with the steamship ‘magic’. 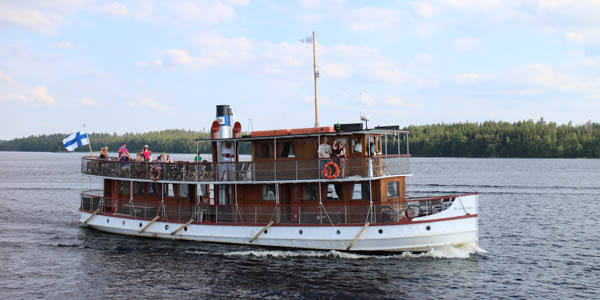 Every steamer has its own specialities: Vip Cruise company in Savonlinna offers daily “scenic cruises” (with steamers Punkaharju and Paul Wahl) which last 1h30m and offer great views on lake Saimaa and Olavinlinna Castle. Steamship Suomi has the biggest passenger capacity of steamers in the lake area, and with Kouta you can steam yourself to the northern Lake Oulujärvi. Below is a short video of a scenic cruise aboard steamship Punkaharju (at Savonlinna) to offer a glimpse of the steamship mood. On a scheduled cruises—like charter—you can also ask if it would be possible to pay a visit in the engine room. It is always worth it, if it is possible. The availability of such a visit depends a bit on a route of the ship and how much the chief engineer has something to do down there. But in most cases, this should succeed. Do you operate a commercial steamship in Finland? If you own a steamship in Finland that we have missed and would like to see it listed here on Sail in Finland, contact us via the site’s contact page.